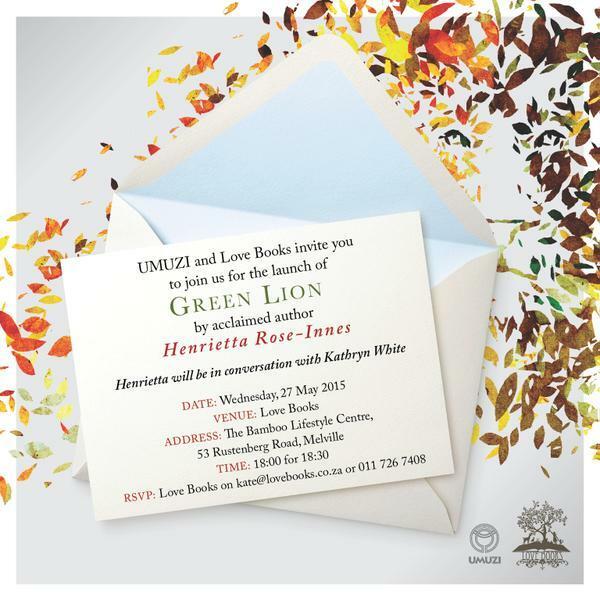 After another great launch at the Book Lounge in Cape Town last night, I’m off to Johannesburg today to chat about Green Lion at the Love Books launch in Melville. I am very happy to be in conversation with the hugely talented author Kathryn White: looking forward to a sparkling convo about lions, taxidermy, alchemy, writing and all sorts. Join us for a glass of wine and a chat.